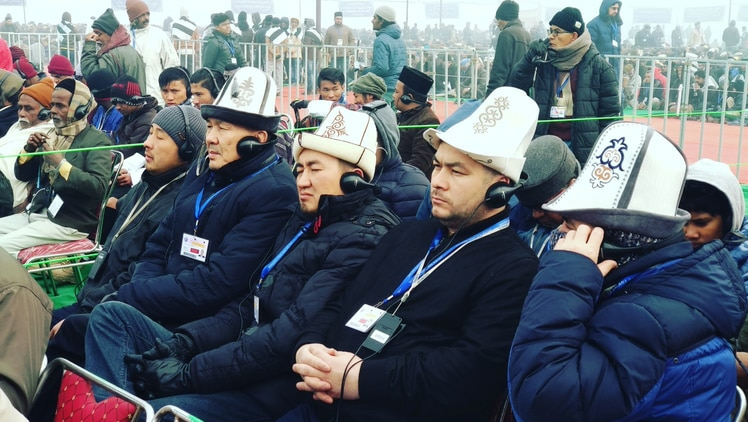 The 124th Jalsa Salana Qadian was held on 28, 29 and 30 December 2018 with the concluding address delivered live on MTA International by Hazrat Amirul Momineen, Khalifatul Masih Vaa. The humble origins of Jalsa Salana Qadian stem from 1891 when 75 guests attended a convention organised by Hazrat Mirza Ghulam Ahmadas, the Promised Messiah and Imam Mahdi. This year, a total of 18,864 guests attended from 48 countries far and wide. 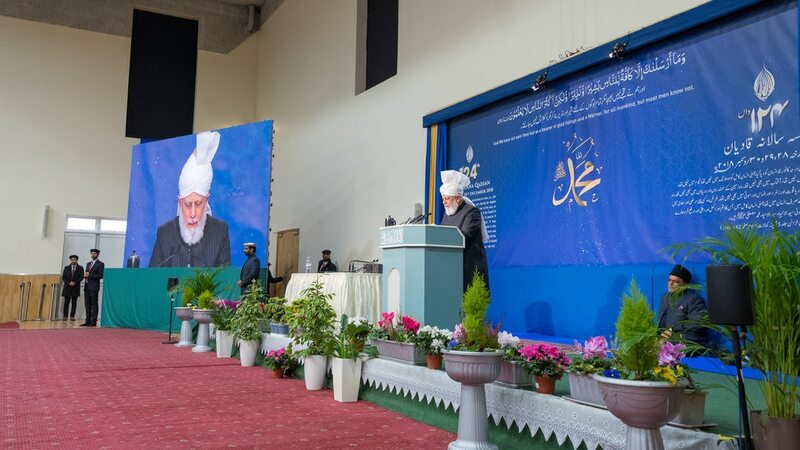 A total of 12 speeches were delivered across the three days with the concluding address delivered by Hazrat Mirza Masroor Ahmad, Khalifatul Masih Vaa. The Jalsa Salana guests had the opportunity to visit the blessed house of the Promised Messiahas known as Darul-Masih. The three days also saw huge crowds flocking to Bahishti Maqbara, often after Fajr prayer, to pray at the blessed grave of the Promised Messiahas and his Companionsra. Jalsa Salana guests also enjoyed the beauty of new renovations of historical sites within Qadian, one such renovation being the house of Hazrat Nawab Muhammad Ali Khanra in which an exhibition has been set up by the name of Islam – World Peace Exhibition. 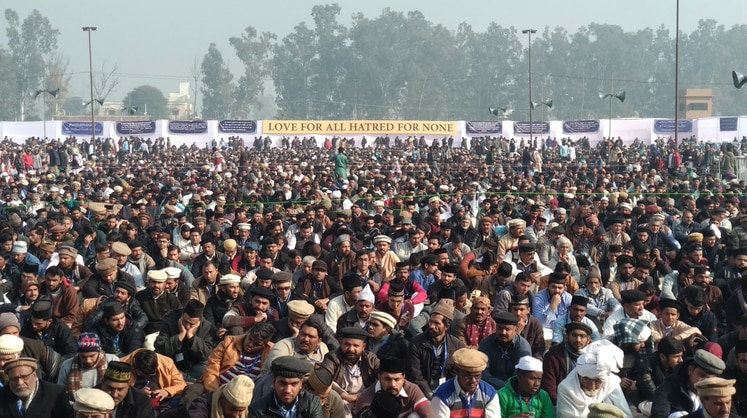 The highlight of Jalsa Salana Qadian was the concluding address on Sunday, 30 December by Hazrat Khalifatul Masih Vaa who addressed the Jalsa from London. 5,365 Ahmadis sat to listen to Huzoor’s address in Baitul Futuh, which was broadcast live in Qadian. Huzooraa highlighted the great importance of the advent of the Promised Messiahas and his unmatchable love for the Holy Prophetsa. Huzooraa presented various visions, dreams and revelations of the Promised Messiahas which showed Allah’s testimony to the deep love the Promised Messiahas had for the Holy Prophetsa. As 2019 begins, Al Hakam urges its readers to answer the call of Hazrat Khalifatul Masih Vaa and occupy themselves in reciting durood upon the Holy Prophetsa.